Make yourself at home in one of the 67 air-conditioned rooms featuring flat-screen televisions. Rooms have private balconies or patios. Complimentary wireless Internet access keeps you connected, and digital programming is available for your entertainment. Conveniences include desks and coffee/tea makers, and housekeeping is provided daily. 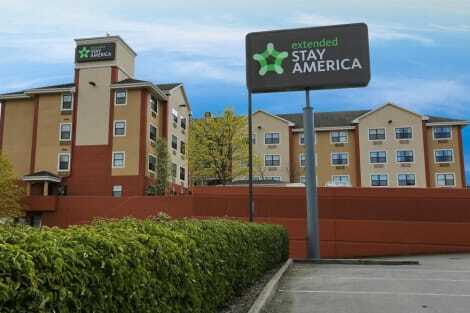 When you stay at Extended Stay America - Tacoma - South in Tacoma, you'll be near the airport, a 2-minute drive from Tacoma Mall and 8 minutes from Tacoma Dome. This hotel is 11 mi (17.6 km) from Joint Base Lewis-McChord and 4.2 mi (6.8 km) from Greater Tacoma Convention and Trade Center. With a stay at Geiger Victorian Bed and Breakfast, you'll be centrally located in Tacoma, within a 15-minute drive of Tacoma Dome and Greater Tacoma Convention and Trade Center. This historic bed & breakfast is 5.2 mi (8.3 km) from Tacoma Mall and 9.9 mi (15.9 km) from Wild Waves Water Park and Enchanted Village. 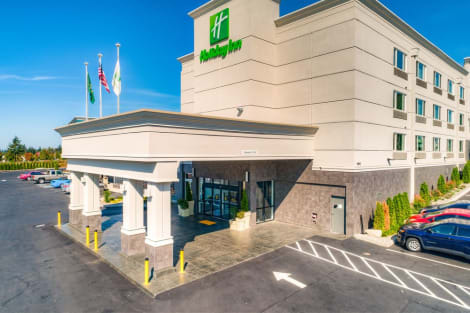 With a stay at Holiday Inn Express & Suites Tacoma in Tacoma, you'll be within a 10-minute drive of Tacoma Dome and Tacoma Mall. This hotel is 8.9 mi (14.3 km) from Joint Base Lewis-McChord and 6.3 mi (10.2 km) from Greater Tacoma Convention and Trade Center.